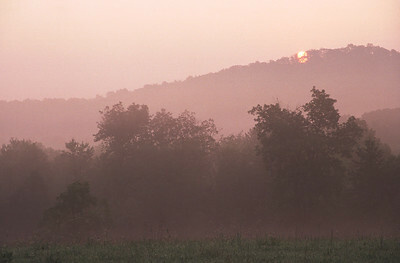 Sunrise over the top of Big Round Top. 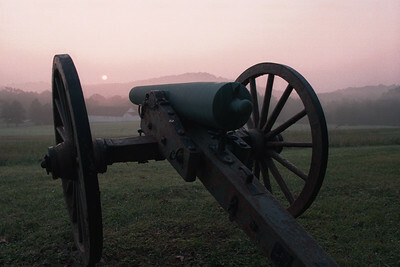 Cannon on the approach to the Round Tops. 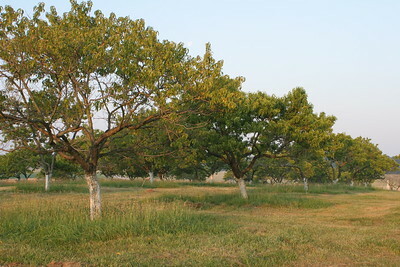 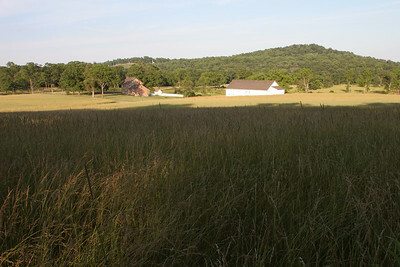 The Bushman Farm. 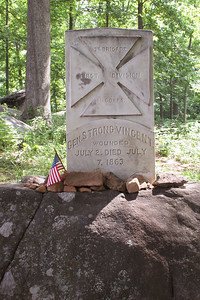 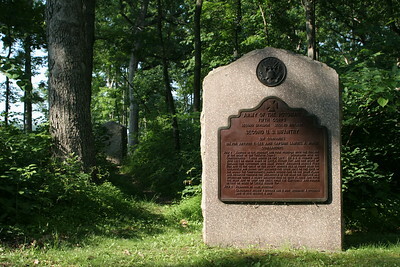 Texas and Georgia troops passed through here on the way to the Round Tops and Devil's Den. 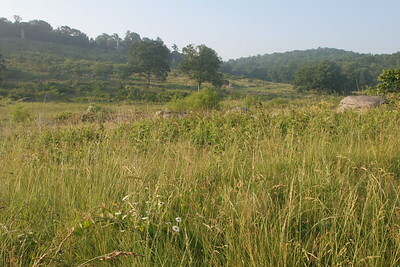 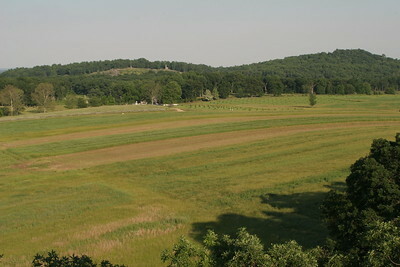 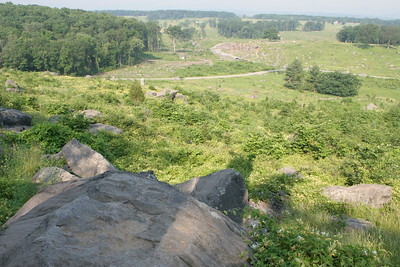 View across the bloody Wheatfield to Little Round Top. 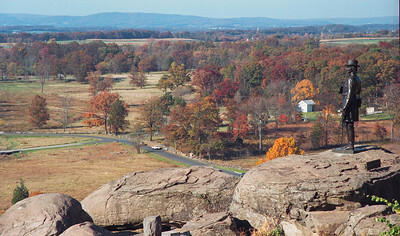 Little Round Top from the Wheatfield. 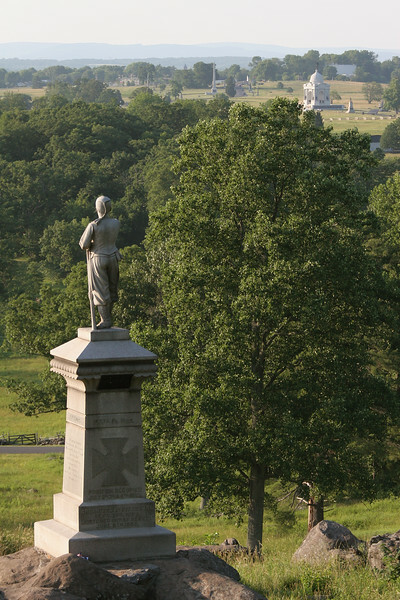 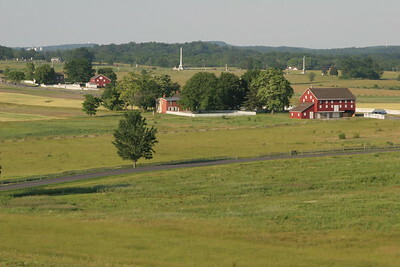 View of the Round Tops from the Seminary Ridge observation tower. 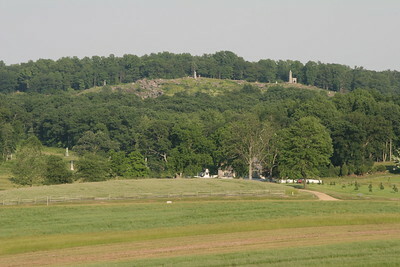 View of Devil's Den from Little Round Top - no wonder this hill was tough to climb for the Confederates. 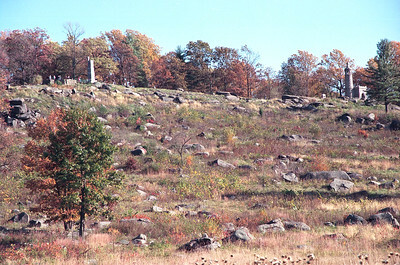 The rocky slope of Little Round Top. 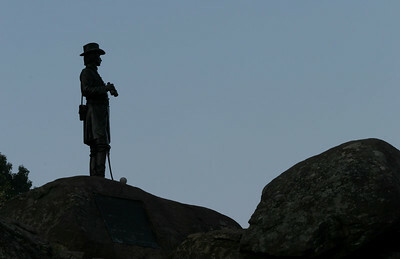 Gouverneur K. Warren statue on Little Round Top - this engineer played a key role in making sure the hill was defended just in time. 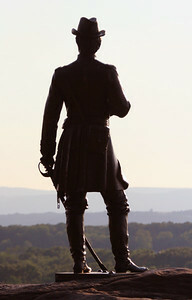 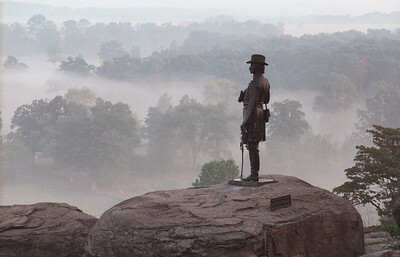 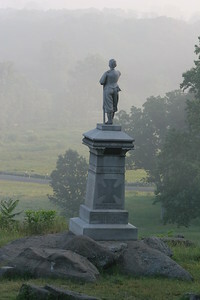 Gouverneur K. Warren statue on Little Round Top. 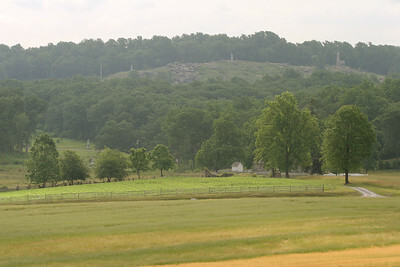 View from Little Round Top toward Cemetery Hill. 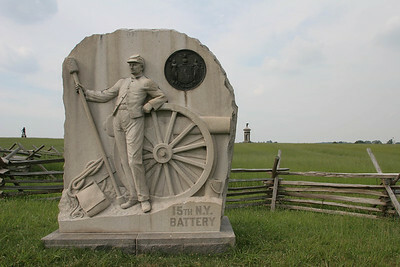 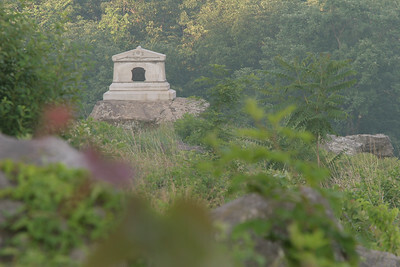 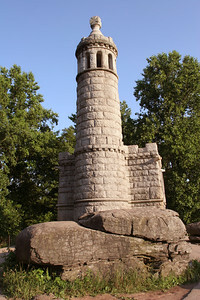 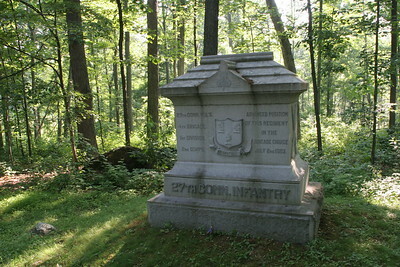 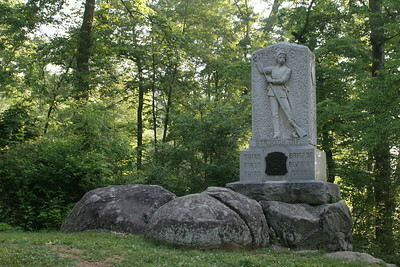 Monument to the 155th Pennsylvania on Little Round Top. 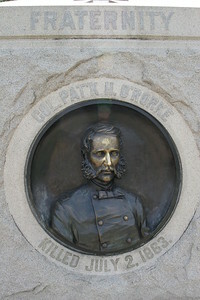 Patty O'Rourke, who was killed leading his 140th New York regiment over the crest of Little Round Top. 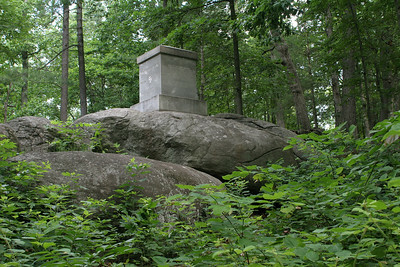 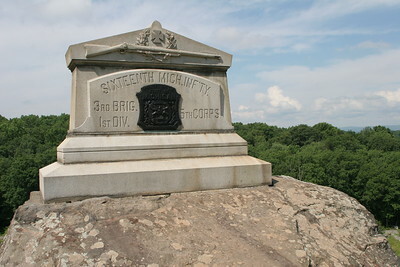 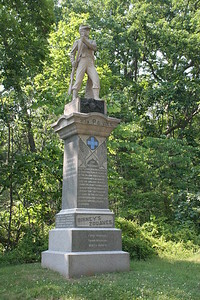 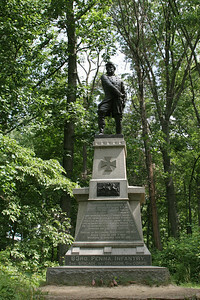 Monument to the 20th Maine on Little Round Top. 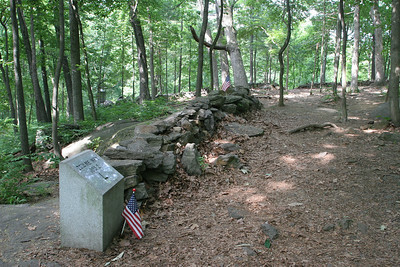 Looking along one of the positions held by the 20th Maine during its valiant and famous defense of the Union left flank on Little Round Top.